Ahoy matey! Do your kids love pretending to be pirates during playtime? Or maybe you're planning a birthday party for a few pirates? How about crafts to make with your little ones for pirate day? Talk like a pirate, dress like a pirate, and craft like a pirate! 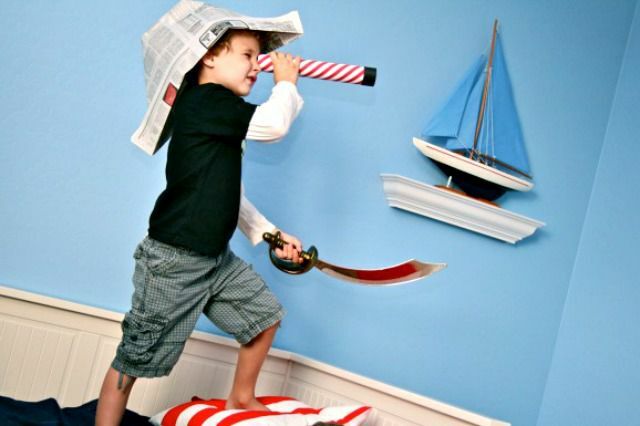 Turn your house into pirate playtime with these items that you can easily find in your home! You and your kids will love these fun pirate ideas. Grab a lunch bag and some paint to make these cute pirate puppets! Find the lost treasure in this crafty pirate treasure chest. Your kiddos will love doing this pirate project. 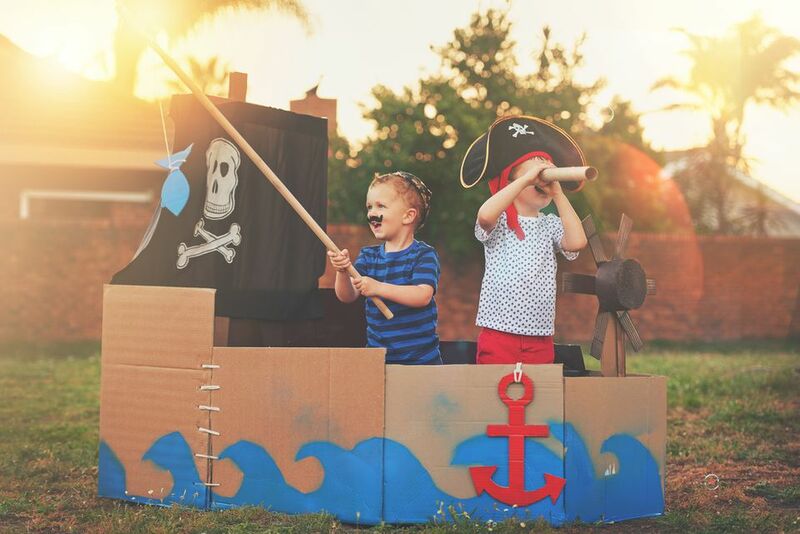 Celebrate your child's birthday in pirate style with these awesome party ideas. They will love being the pirate captain of the stormy seas. Transform a cardboard box into an impressive pirate ship. This craft is perfect for young pirate mateys and their parents to do together. Craft one of these DIY pirate swords for under a dollar. Your little ones can use this sword to complete their pirate costumes for playtime. Now that you've got a few crafts for the little pirates to make, here are a few ideas for games to play and treats to eat. Go on a treasure hunt. Make a map and hide some gold coins for the kids to find. Pin the X on the map. Blindfold your little scallywags and send them to walk the plank to put their X on a map! Make pirate punch to drink. Mix up some juice for the kids and add a straw sipper with a paper flag attached to the top. Just what your pirates will be Arrrrrr-ing for!